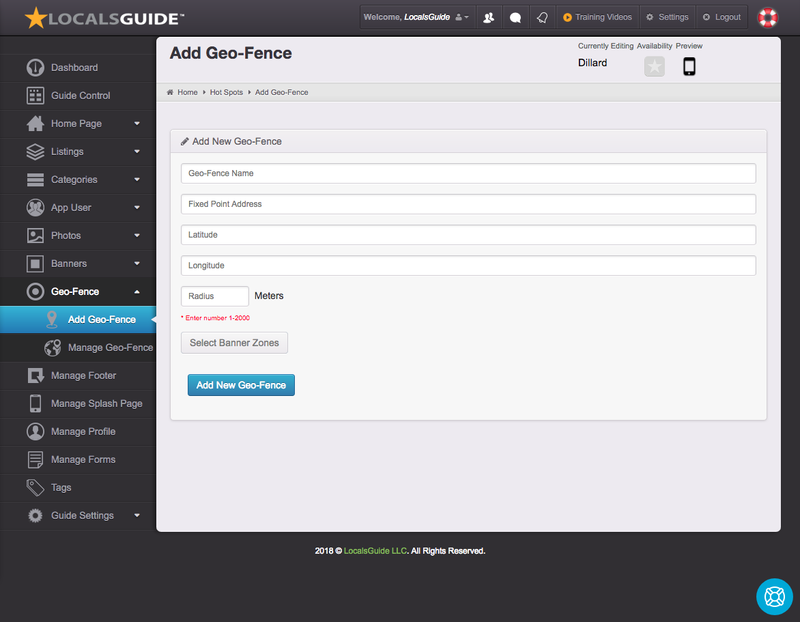 Found in the left menu under Guide Control Geo-Fence allows for you to create custom Geo-Fences to be used for banner zones. Fences can be set from a radius of 1 meter to 2000 meters. 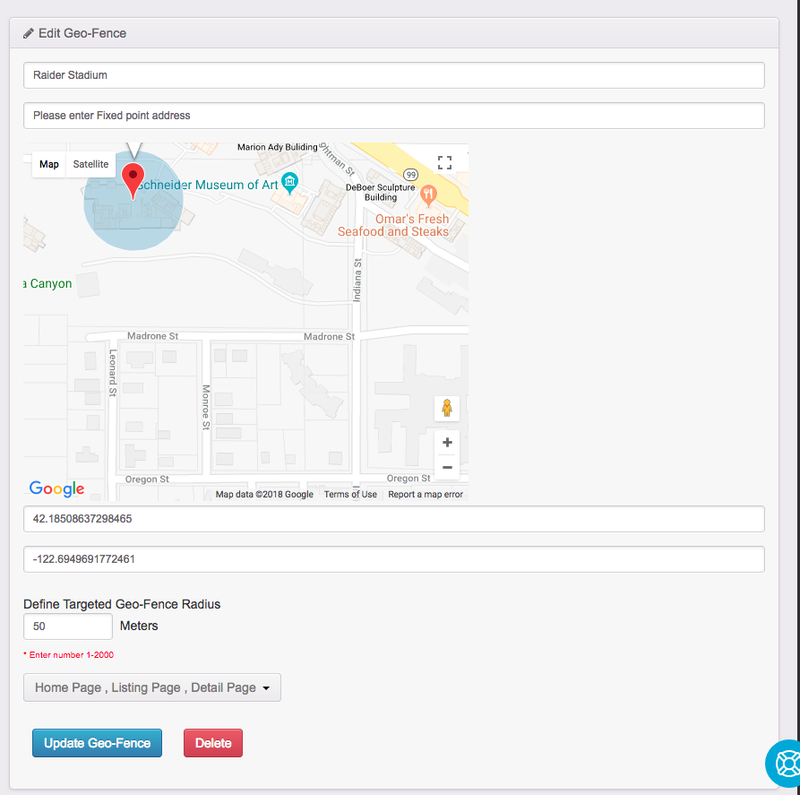 When a mobile user walks within the zone the mobile guide automatically knows to display specific banners assigned to display within this zone. 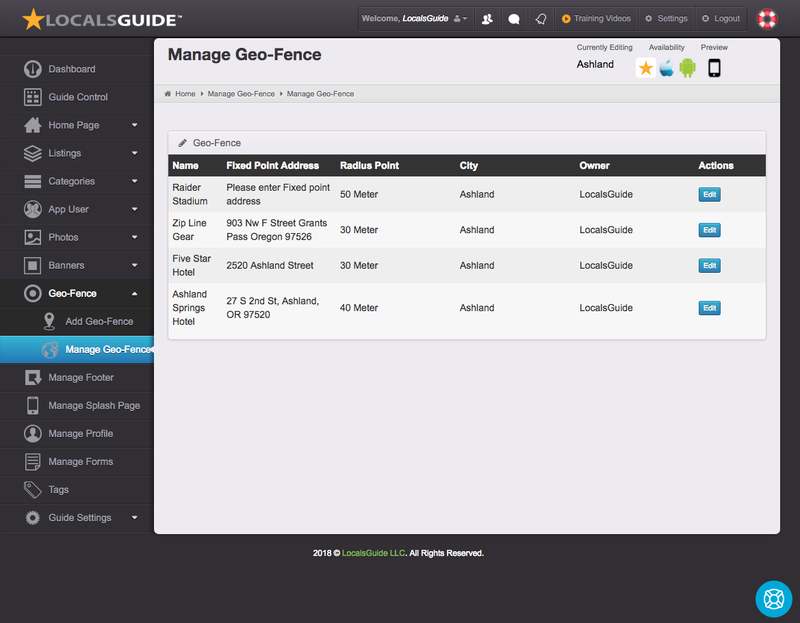 Once created a Geo-Fence will display in Banner Management for placement of banners.